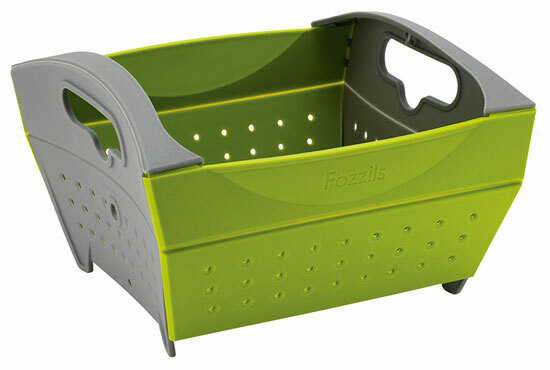 A new, fresh, and fun collapsible colander ! Easy and quick to use ... and super-flat for storage. 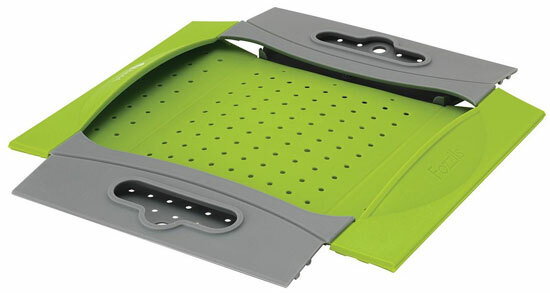 From drawer to sink in seconds, the colander assembles and collapses with a gentle push or pull on each end. 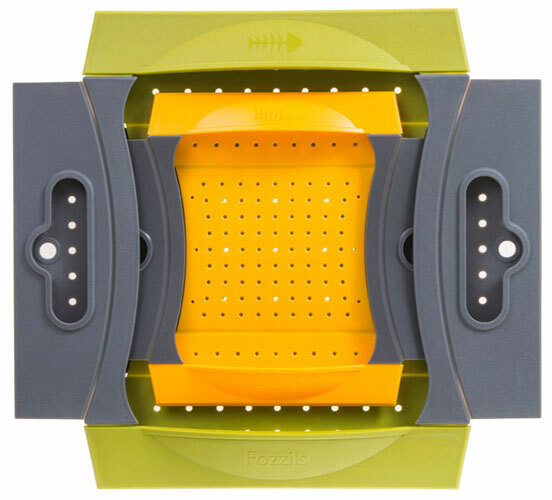 Available in two sizes, where the 'Mini' colander also clips into the 'Normal' size as a set.